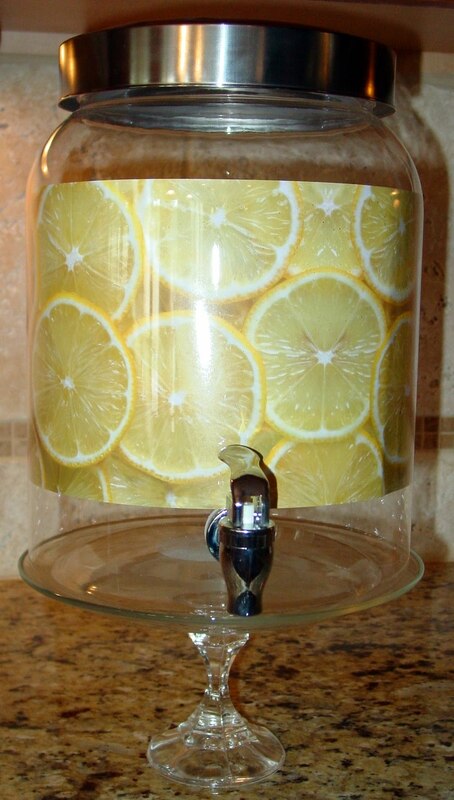 I've been eying these beverage dispensers for some time now. I like things to look fancy while entertaining, but still keep it effortless. Can I hear an Amen? 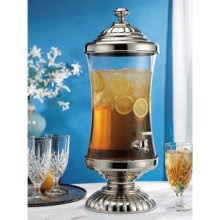 I'm just not interested in paying over $200 for a beverage dispenser. That's crazy talk! 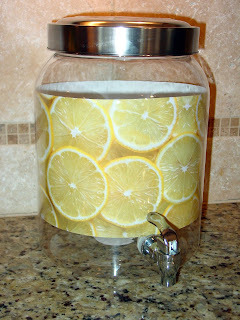 So when I saw this Good Housekeeping beverage dispenser for $12 at Wal-Mart, I snatched it right up! I don't think they thought the design out too well though. 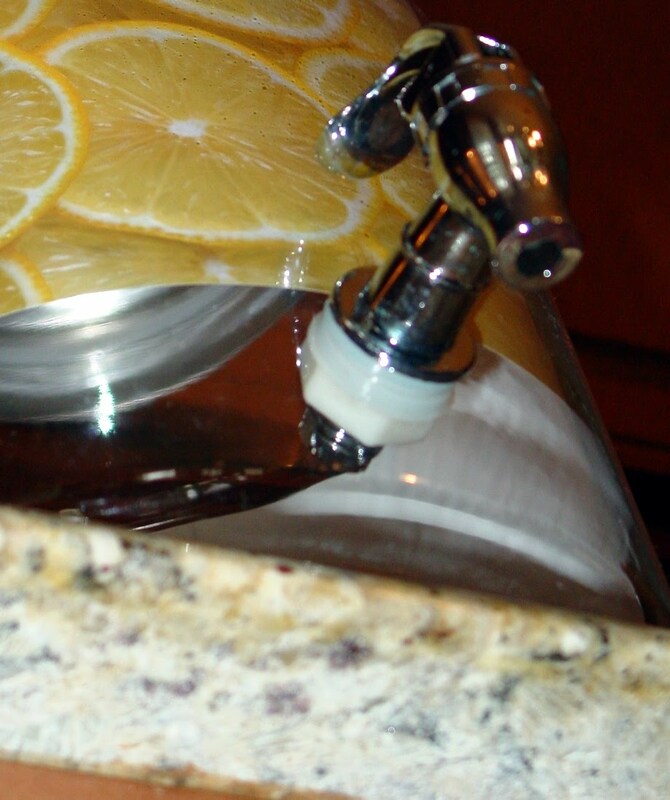 To use it, you have to literally inch it at close as you can off of the counter or table to fill up your drink. It's hard to tell, but the base is more than an inch off the edge. I've got kids and I can just see that slipping forward and falling straight to the floor. Talk about a major party foul! 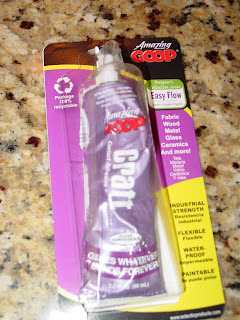 So I brought out my Goop glue and glued together a plate and a candlestick that I had gotten at a garage sale last year. 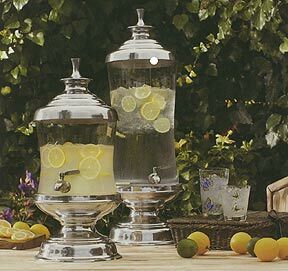 You have to make sure the plate only covers the base of the beverage dispenser, otherwise you deal with not being able to get the dispenser to work. Here's my candlestick and plate glued together. 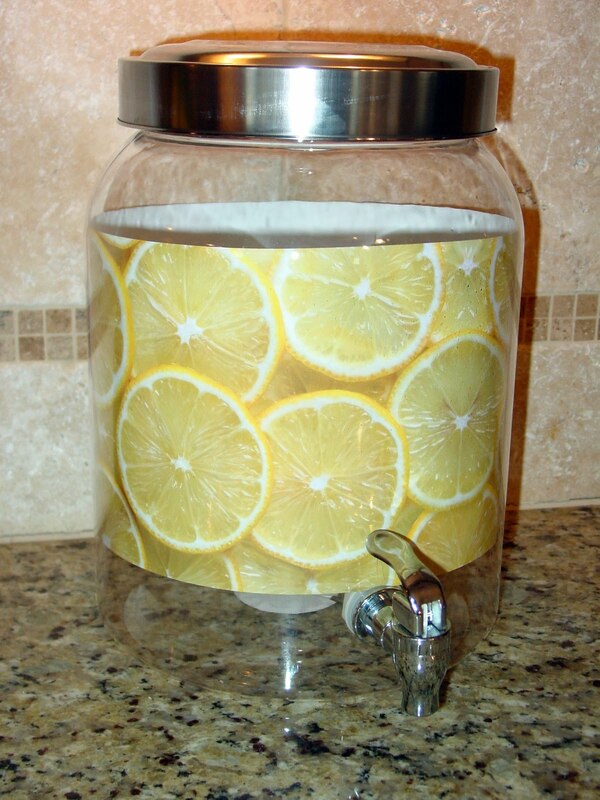 And here the beverage dispenser is on it's new stand. Perfect fit! And it's tall enough now to accommodate even those big red cups underneath. Great idea. I've seen these in all kinds of catalogs and at PB etc. but the prices are ridiculous. Ok, you have taken the cake today for ingenuity! I love this idea. I too want one of those fancy dispensers, but cringe whenever I see the price :/ I am totally going to copy this idea!! Brilliant fix. I would be terrified to have it hanging over the edge like that too. Now you've not only solved that problem but taken the attractiveness up a notch. That is awesome! Thanks for sharing over at Tuesday Tell All. What size plate did you use? Go you! Looks much more elegant now & more functional... a win, win! I love that idea. 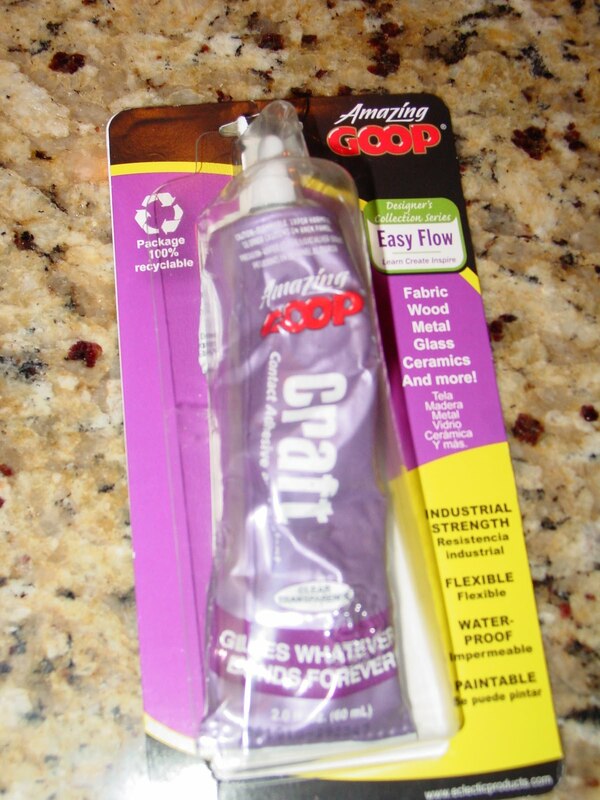 I'm so amazed at all the crafty peeps in blogland!! Now...is your dispencer plastic or glass? I bought something simular last year and it leaked like a seive...LOL Thinking it would be great for the kiddos to get their own drinks...juice everywhere in my fridge...UGH! Great idea for a fix!!! I love those bev dispensers too - I have one fancy giant one but I may have to go hunt wally world for this one! 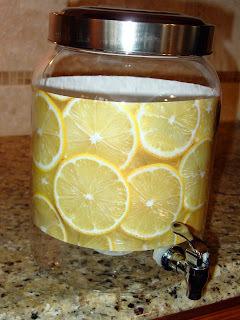 This project turned out great...and I bet you will love it this summer! I have the same style of container and you are so right about not being able to stick a cup under the spout. 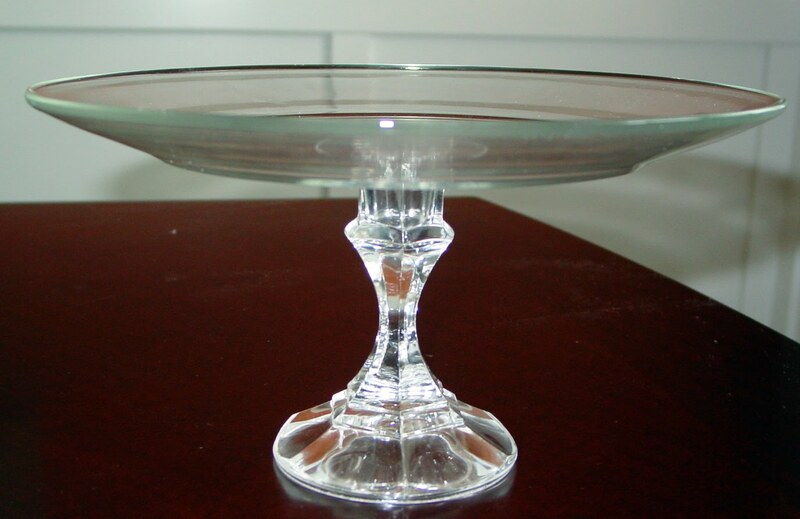 I'm off to look for cake stands for my container! I'm curious if you had to glue the dispenser to the plate or if it was sturdy enough without? How cool would it be to be able to change out the bottom plate stand so you could match it colorwise to your party? But you couldn't do that if you had to glue it. Such a great idea. I've been eyeing these at Walmart too, but haven't purchased one yet. this will be a great help once I finally get it! Thanks for sharing. That is seriously awesome! I love it! Great idea and you are so clever! Great idea. I saw them and wondered if they leaked. I have a fancy one I got for my birthday and use it at "special" occasions, but this would be perfect for those more casual times. So, this is quite excellent. Love it! Two weeks ago, I bought a "base" at the GW store and did not hava a clue what to do with it, but I liked the metal and the shape. 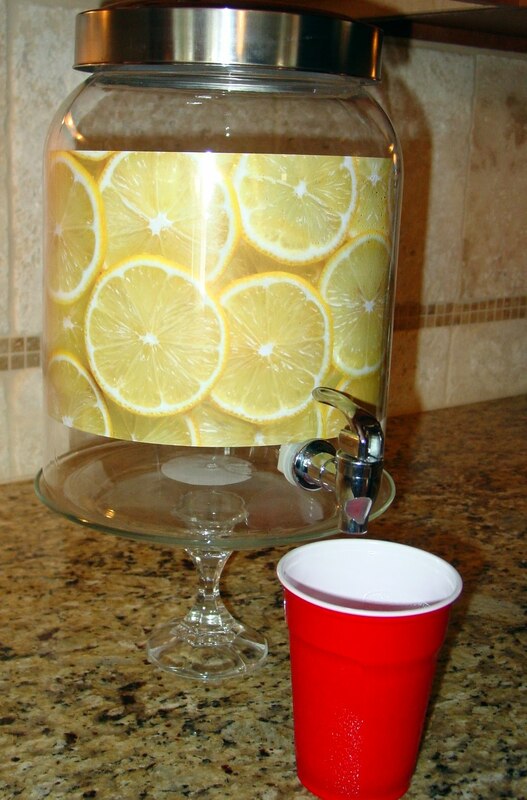 NOW I know exactly what to do with it....find a plate and marry them and attach my beverage dispenser. THANKS so much for sharing.